Since The Game Awards began in 2014, it’s been difficult for a Nintendo fan to watch the annual show. There were the odd nominees here and there, but what fans really looked forward to were the announcements. Now that we are into the Nintendo Switch’s first year, Nintendo enthusiasts watched on with excitement and anticipation to see their favourite games nominated in so many different categories. The Nintendo Switch has had a groundbreaking debut year, and it is so heartwarming to see those stellar titles nominated for so many awards, including The Legend of Zelda: Breath of the Wild and Super Mario Odyssey for Game of the Year. It was fantastic to see The Legend of Zelda: Breath of the Wild and Super Mario Odyssey nominated for best score/music. Music in Nintendo games are so iconic and it doesn’t get any more so than The Legend of Zelda and Super Mario. Koji Kondo is a master of video game music, and his contributions still ring in our ears. Unfortunately, Nintendo didn’t win the award as the honor went to Nier: Automata; but the winner was truly deserving nonetheless. This isn’t a Switch related segment, but Nintendo did have two nominees in the category: Fire Emblem Heroes and Super Mario Run. Unfortunately, neither won and the award went to Monument Valley 2. … and the winner was Metroid: Samus Returns. It’s fantastic to see Metroid receive some much deserved recognition – Samus has truly returned! Despite being on the least powerful console, The Legend of Zelda: Breath of the Wild was nominated for best art direction. This goes to show that you don’t need the most powerful hardware to deliver a visually breathtaking experience. The award for best art direction went to Cuphead, which was also very deserving of this award with its classic cartoon art style. The first winner for the Nintendo Switch goes to Mario + Rabbids Kingdom Battle! This game was developed by Ubisoft and it is fantastic to see a Nintendo third-party exclusive game win an award at The Game Awards. And the winner (and rightly so) was Super Mario Odyssey! The Nintendo Switch only had one nominated game on its system – Fifa 18. However, the award didn’t go to the soccer game and instead went to Forza Motorsport 7. There were two games in this category that were on the Nintendo Switch: Mr. Shifty and Golf Story. Unfortunately, neither of these games won; but once again the award went to Cuphead which is definitely deserving of the title of best debut indie game. This one was a tricky one, as Rocket League just recently came out for the Nintendo Switch and was the only nominated Esports game on the Nintendo Switch. The award however didn’t go to Rocket League and was awarded to Overwatch, a game that fans have been clambering for on the Switch. This year, we have seen two of Nintendo’s most iconic IPs take new directions that we could only have dreamed of. Both The Legend of Zelda: Breath of the Wild and Super Mario Odyssey were nominated for best game direction and it was fantastic to see The Legend of Zelda’s new iteration receive the award. Arms has had a successful debut on the Nintendo Switch. As the first new IP for Nintendo on the Switch console, it definitely shows the constant creativity and innovation that Nintendo are still bringing to their games. Arms didn’t win Best Fighting Game and the award went to Injustice 2, but fans are all proud of this new IP for making it into the category as a nomination. We all love The Game Awards for the amazing announcements and the Nintendo Switch saw a plethora of them! From Software have been noted to support the Nintendo Switch and they had an incredibly short teaser trailer for… something. No name, date or console was announced; all they showed was a very short cg cutscene. It did look very intriguing, though. 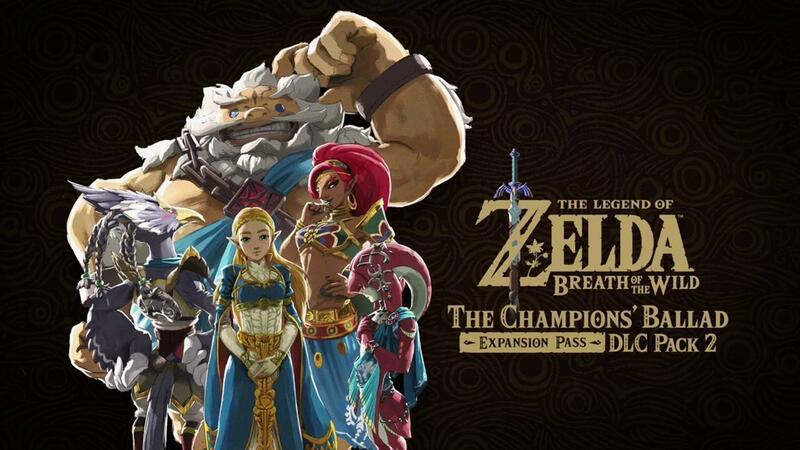 The Legend of Zelda’s DLC Pack 2: Champions Ballad is finally coming out. New dungeons, costumes, horse armour (Oblivion flashbacks, anyone? ), what appears to be a whole new adventure… and a motorbike? The Master Cycle Zero becomes available to Link after you beat the challenges in this DLC pack. All this was released on the same day as the announcement and looks absolutely phenomenal. A snowy survival game called Fade into Silence was announced by THQ Nordic. The game is available for early access on Steam on December 14th, but they also announced that the game will be coming to all major platforms next year. Bayonetta 1 & 2 on Switch! These games are unexpectedly perfect fits on Nintendo consoles and the support from Platinum Games has been fantastic. Bayonetta 1 & 2 is planned to release on the Nintendo Switch February 16, 2018. 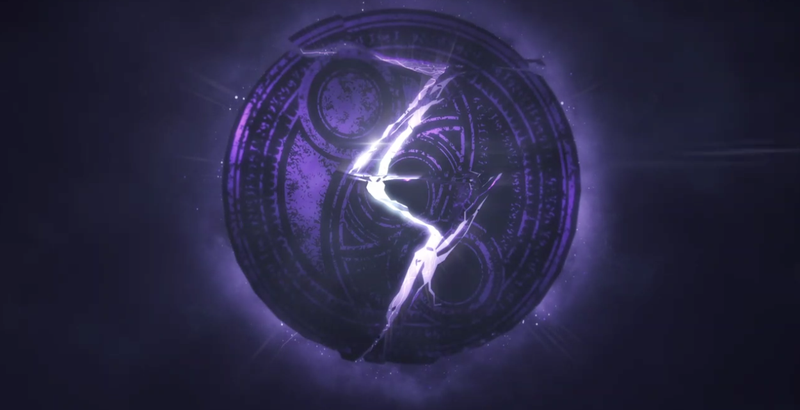 But that wasn’t all… Reggie Fils-Aime shocked the fans with another announcement – Bayonetta 3 is currently in development and is coming EXCLUSIVELY to the Nintendo Switch! Nintendo are known for their multiplayer games, and two of their biggest of 2017 were nominated: Splatoon 2 and Mario Kart 8 Deluxe. Unfortunately, the award went to PlayerUnknown’s Battlegrounds which has seen massive success in the online PC gaming community. The Legend Of Zelda: Breath of the Wild won yet another award at The Game Awards winning Best Action/Adventure Game. This title has redefined action/adventure games in so many ways and it is exciting to see how the series will continue to innovate. Both The Legend of Zelda: Breath of the Wild and Super Mario Odyssey were nominated for Best Audio Design, however the award went to Hellblade: Senua’s Sacrifice. Every Game of the Year show always leaves fans with memorable moments that just make you swell up with pride for the industry. It’s fantastic to see the devotion and passion that goes into making and playing video games. At the start of the show, it was amazing to see the orchestra play some Super Mario Bros. music, but especially amazing to see the play some music from The Legend of Zelda. It was also music to our ears (literally) to hear Synyster Gates (lead guitarist of Avenged Sevenfold) on his iconic guitar playing along with these breathtaking pieces. When the Legend of Zelda: Breath of the Wild DLC Pack 2 was announced, the spotlights were shining onto Hyrule Castle on the screen that represented each champion. Eiji Aonuma also came out on stage wearing Link’s Breath of the Wild tunic and pulled out the Master Sword in a truly memorable performance. It brought back feelings of nostalgia when fans remembered Shigeru Miyamoto coming out on stage at E3 brandishing the Master Sword during the reveal of The Legend of Zelda: Twilight Princess. Despite it not being Nintendo related, Carol Shaw winning the Industry Icon award was very heartwarming. I strongly recommend anyone to look into her as she is truly an inspiration to the video game world. And lastly, a live performance of Jump Up Superstar just before the announcement was a truly fantastic tribute to Super Mario Odyssey. The entire orchestra sounded fantastic and it truly brought the song to life. Fans will have to wait another year for the next Game Awards, but hopefully we will see more Nintendo Switch titles nominated for awards, including Game of the Year. Let’s go back-to-back, Nintendo!